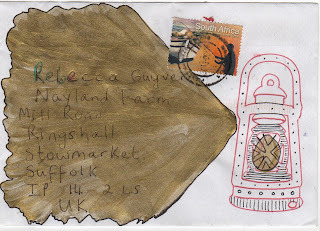 I love to read the IUOMA blurbs and see why people are involved with mail art. Petrolpetal seems to be new to the network, although I know when I first signed on at IUOMA that I wrote the current date even though I had been sending mailart for many years before because I understood the question in a particular way... But I digress. 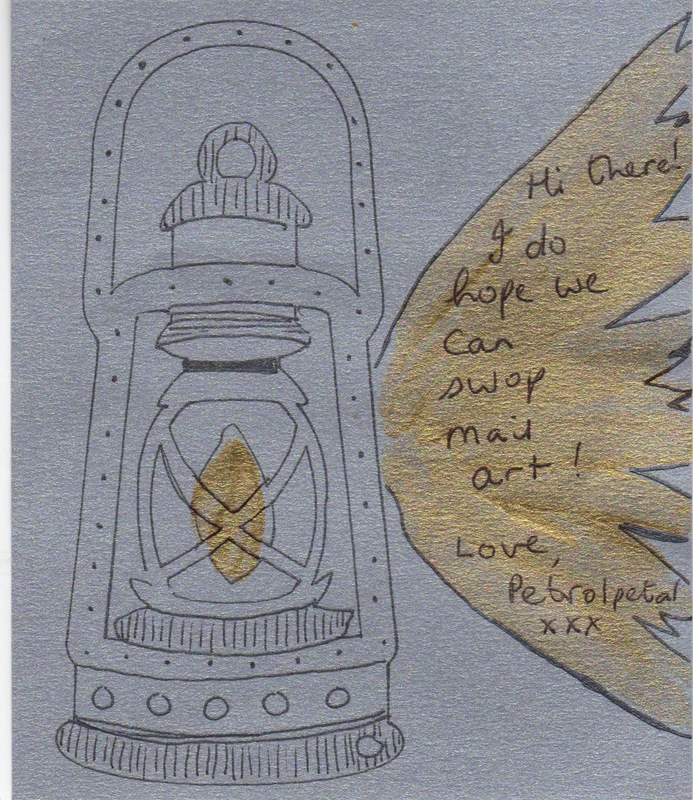 Petrolpetal says she likes to share and I know that feeling, we also share the expectation of a piece of mail travelling and being held by someone somewhere, someone who we might never really know. Ah mail art. 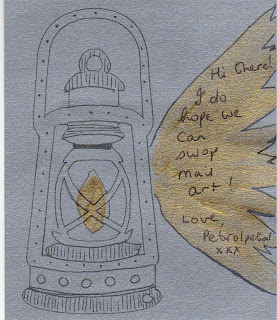 Petrolpetal won't know that I lived by lantern light for 2 1/2 years while in Kenya, so her motif instantly connected me to her. You can't really feel the gold in this scan, but there is a warmth and a generosity in her choice of gold, or that's how I feel it. Great to begin a correspondence.